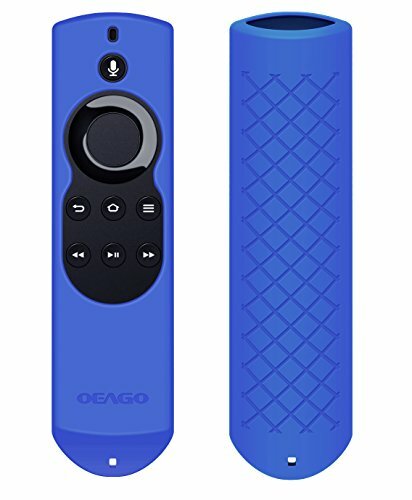 Protection Designed with silicone to protect your All-New Fire TV with 4K Alexa Voice Remote (2017 Edition) (2nd Gen) / Fire TV Stick Alexa Voice Remote from unwanted dust and scratches. Perfect Fit The slim and form-fitted design of the case protects your Fire TV Stick Remote with minimal bulk. Accessibility Revised with precision cut-outs to ensure full access to all ports, buttons, and features of your Fire TV Stick Remote. Wrist Strap An included wrist strap is provided that helps prevent accidental drops or releases when using the remote with motion controls. Easy to Install No tools or wires required. Just slide the Fire TV Stick Remote into the case. Fit All-New Amazon Fire TV 4K / 2nd Generation Fire TV Stick Voice Remote, Previous Generation 5.9-Inch Voice Remote and Amazon Echo / Echo Dot Voice Remote. Environmental material: Durable and soft silicone,adds great grip and drop protection. Lanyard included. Provides the maximum protection: Antiskid,Anti-dust, washable. Package included: Silicone case and handle strap (Remote is not included).